FULL MOON moves into the sign of Virgo, the archetype of the virgin whose original meaning was a free woman or a woman onto herself. Holy and whole onto herself, she is the medicine woman within each of us who knows that by healing herself she heals the world. 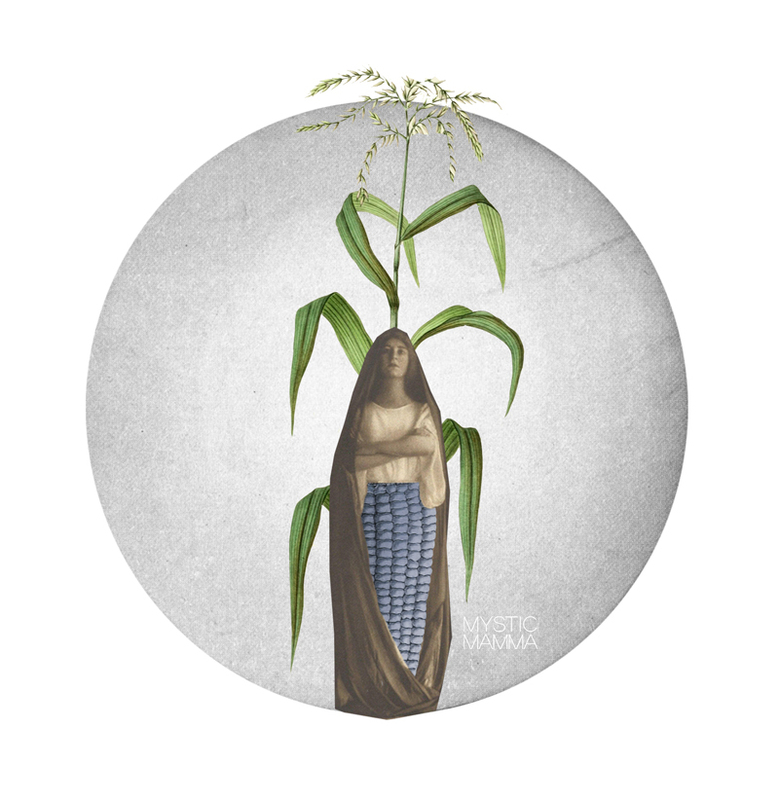 She is the Corn Mother who is able to separate the wheat from the chaff and helps us focus on what truly matters. She brings offerings of remembrance of our indelible connection to Mother Earth as our Source. She calls to us to recalibrate and restore as we rise into our real work. “..this month is filled with the dynamism of the coming of the equinox – the balancing of light and dark, when the Sun is at the midpoint of its extremes. “The intimacy of the body-mind relationship is likely to be called into play, so better perhaps to discipline the mind than play it out in the body. “There’s a powerful urge to help but with the Moon overwhelmed by a high Pisces tide, it may feel like ‘whatever I do, it’s drop in the ocean‘ or ‘whatever I do, it isn’t enough’. “The Moon’s opposition to Pallas may mean that it’s difficult to recognize certain patterns of thinking. “With Chiron involved, there are chronic problems that need to be addressed…Mercury square Saturn is a test to think your way out of the box. “When you let go of the idea that everything has to be perfect, transformation happens. “A sextile to focused Vesta says concentrate on your task. Make the mundane sacred through mindful attention. “Do what you do with love in your heart and to the best of your ability. “Great potentials for heart opening and spiritual growth appear to be a part of the energies of next Sunday’s Full Moon. “And, with Chiron and Mercury also very close to the Sun at the time of the lunation, each of us has an enhanced capacity to heal, especially using the tools of visualization and meditation. “VIRGO 23: Giant cacti blooming in the desert. “Knowing beyond knowing what is real and what counts. Commonsensical, good, and true. “Containing so much knowledge and wisdom that you bear the record of all that is worthwhile in human evolution. “Fascinating and extraordinary insights, realizations, and observations–an independent way of seeing. “Integrity and conviction, sterling and impressing–a perfect grasp of essentials. “Dedication to holding faithful to the earth and her ways. “You have an almost abrasive style of sticking to your guns and making it clear what is correct and furthering and what is not. “Tremendous mentality demanding self-command to harness and make effective and helpful. Thank you so much, Mystic Mamma. It is time to recalibrate and rise and most importantly love. Bowing in gratitude. Wow! I could read this over and over again, it seems like i’ve been waiting for it for a long time. As a Virgo, it’s the first time i see the symbol behind this sign as powerful, inspiring and transformative. (most of the time Virgo energy is depicted as a meticulous, complicated, picky party-pooper) It gives me so much confidence and hope to nourrish myself as well as others, as i wish for it for a couple of years. Thank you thank you thank you! May all feel this tranformative blessing. Powerful and wise as always. Many thanks Mystic Mamma and all those who contribute. Thank you Mystic Mamma, and all the contributors. I, too, am a Virgo ~~ it is sometimes a difficult path to tread. Anyway, healer heal thyself …. and the world. No pressure then! Seriously, blessings and love to all. Thank you so much, it has belped give me understanding about so much that is going on in my life. From the past in it, to the future in it, ALWAYS !!! Infinite smiles, blessings & love. Thank you – as a Virgo feeling this full moon strongly so these thoughts help immensely – ‘recalibrate’ is a word that has been popping up for me of late. The sacrificial rites that I have come to believe that only Virgo are entitled to have entered the mundane plain with Grandmother moon bringing her testimony to her power this month. Her desire is one that births true results and she has every right to lay claim to them by revealing herself in the beautiful fullness of her nature, bringing with her the genuinely protective forces of the Rock, and the magnetically guiding prowess of her maternal nature. A true Goddess she is, worthy of tribute that goes beyond mere praise, as she is one not to be challenged. Namaste Mystic mama..my soul bows to thee! Thanks for sharing… we’re in the midst of a lot of turmoil here in Hawaii over use of Roundup and pesticides, and this information gives me hope to remain optimistic that we can make a big change. Thankyou. I so deeply resonate with this as it is my birthday on wednesday and my Moon, Sun and Mercury are all at 23degs. there is so much change in my life but I am feeling so inspired and empowered. Blessings and love. Thank you for this beautiful write-up. <3 We are all grateful for all the good you share and do. This is a powerful and beautiful full moon indeed. I do love the lessons you bring;however, they are very broad and so much is left to interpretation. How does one apply your lessons to real life? Thank you!